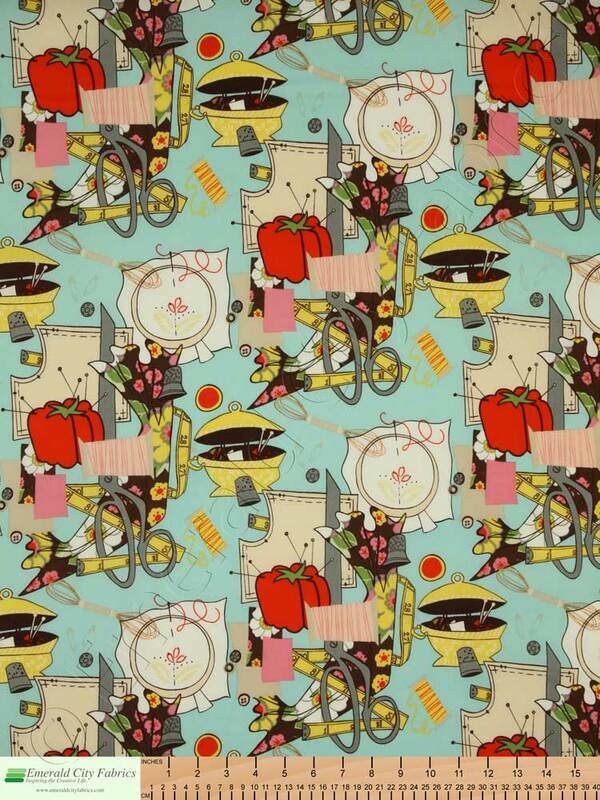 Sew Retro Turquoise Blue by Nicole de Leon for Alexander Henry Fabrics. 100% cotton. Quilt and fashion weight. 44 inches wide. 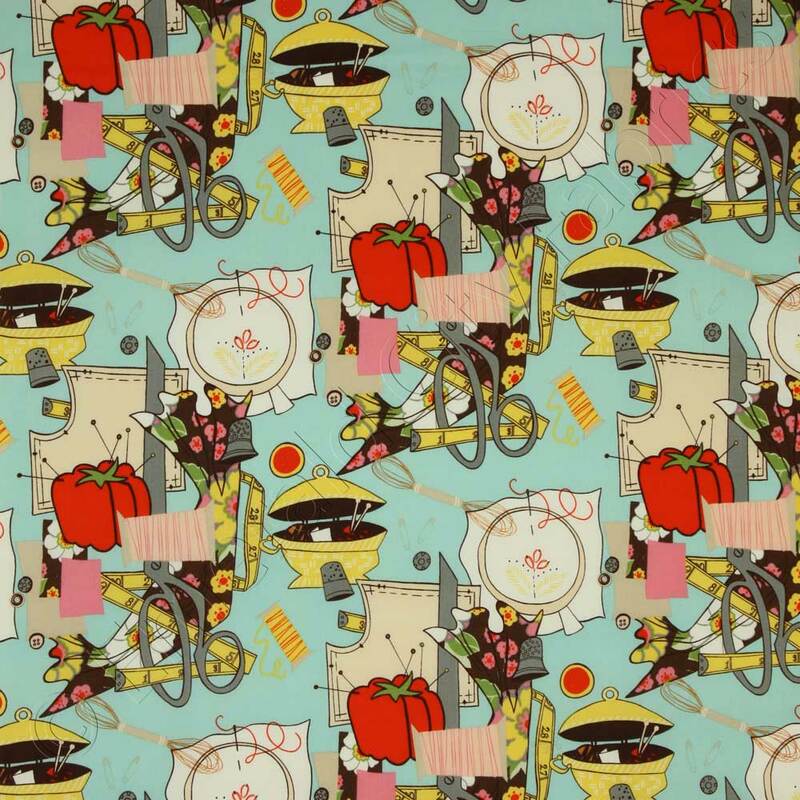 Alexander Henry's very first offering of novelty fabrics was created by lead designer Nicole de Leon, and the group name "Nicole's Prints" stuck. Home to car prints, calendar girls (and boys) and some edgy skulls and tattoos, this group of fabrics, not unlike Nicole herself, always gets people talking. Nicole paints each of her designs by hand. Of the essential studio process, she explains, "We are painters and we love to paint, and we love that the process is organic and sometimes wonderfully unpredictable. Moving and blending the media is vital to the process." 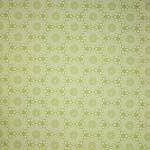 Alexander Henry Fabrics is a premier textile design house, producing cutting-edge, original cotton prints. A favorite of manufacturers and home sewers alike, their ever-growing collection embraces a wide range of themes inspired by art history, runway fashion and the culture at large.